Poe GHA and Quill GHA branded as Oldenburg colts at Oldenburg Registration NA on September 21, 2014. June 2014, Zoolander at Flagstaff's Copper State "A" Jumping Show--shown by Kelsey Johnson. June 2014, Cooper at Flagstaff's Copper State Jump Show--leased and shown by Alyssa Frainier. May 10, 2014, Bay Colt, Quill born to Blanco Slew (Firefly) sired by Qredit. March 24, 2014, Chestnut Colt, Poe born to Tipsey in Seattle sired by Parcival. 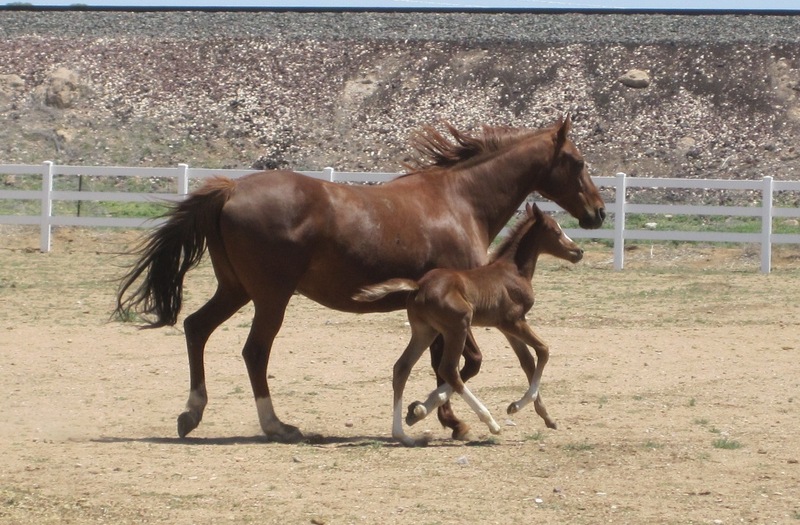 August 2013, Bambam taken to G Mystical Horses for weaning! Returned in October 2013. May 2013, Firefly to Parcival, Tipsey to Qredit bred for Spring 2014. 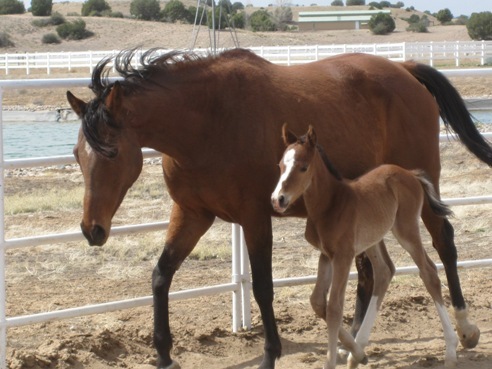 Filly, Benicia (BamBam) born to Blanco Slew (Firefly) sired by Apollo Sun on April 6, 2013. For Sale. Colt, On the Rocks (Rocky) born to Tipsey in Seattle (Tips) sired by Sir Real, on April 30, 2011. Sold.